The lost wax process begins with a carefully sculpted wax model, which is encased in a heat resistant plaster mold that also contains fiberglass and ceramic grog for strength. Once cured, the plaster mold is inverted and the wax model is gently removed or steamed out, leaving a void that will be filled with glass or crystal. This is achieved by placing the mold in a kiln that will slowly reach temperature of approximately 1550 degrees. The length of the melting process and subsequent cooling is determined by the thickness, size and complexity of the model and plaster mold. Once cooled, the plaster mold is carefully broken away from the cast glass and cleaned with hand tools to the desired finish. 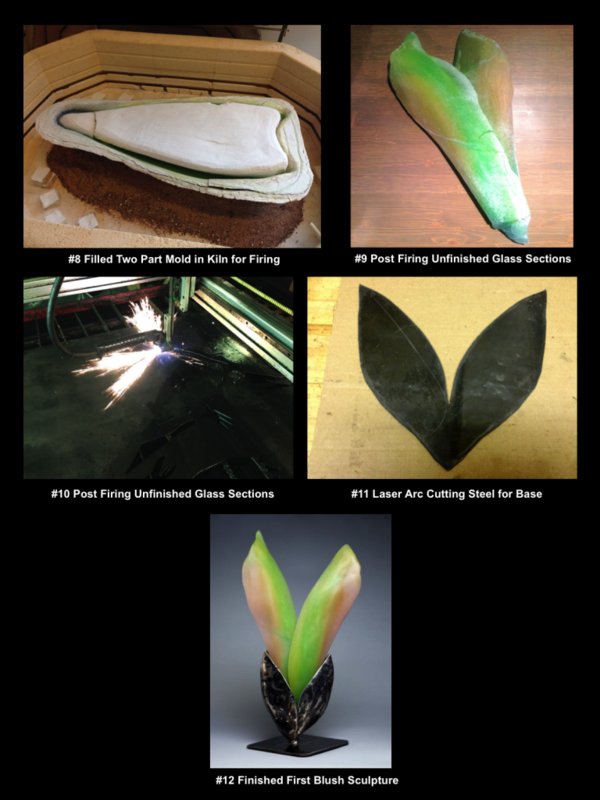 Many hours are spent planning, modeling, firing and cleaning a cast glass piece to completion. It is a process that requires great patience and commitment. Unlike most other glassmaking methods, lost wax casting is a magical transformation of materials that usually takes place within the confines of a closed mold. A rubber mold can sometimes be pulled to duplicate an original wax model, as in the case of my botanical relief tiles. However, many models are intended as single editions, truly one of a kind because the original wax is lost when melted without replication. 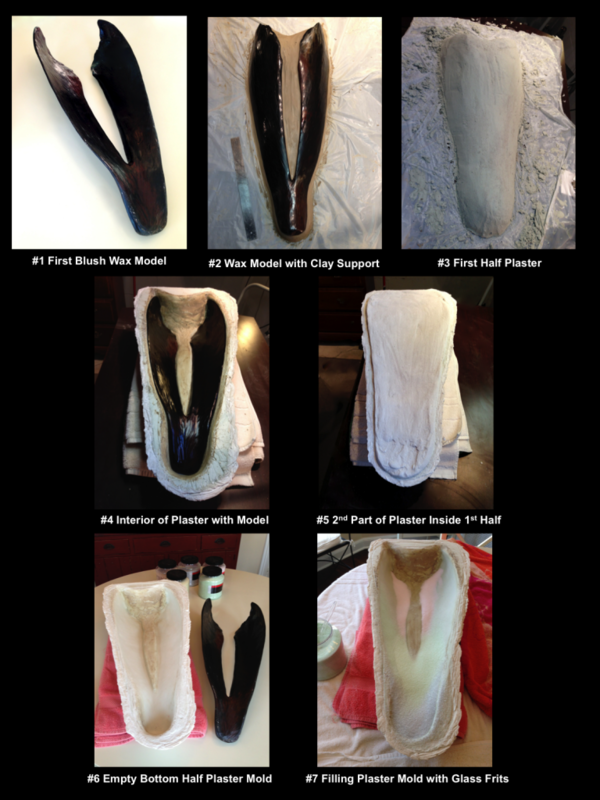 The following photos are condensed progression of the creation of “First Blush” from model to completed sculpture. Thank you Al, so nice of you to leave a comment!